Could you please tell me if there is a manufactures name on this table? 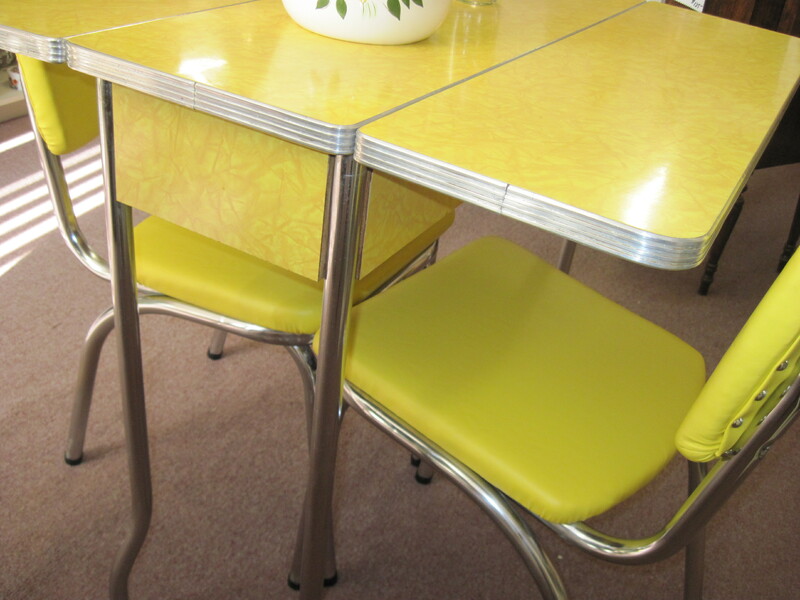 My grandmother had a similar one, same color, same edge even the same chairs. I’m moving into her old house and I’d like to get one. I don’t remember seeing any manufacturer’s name on the table. The table has been sold so I can’t check it further. Good luck in your hunt to find one! I love this vintage look. I am looking for something like this for my eat in kitchen. I live in Alberta so if you know of anyone selling similar pieces please let me know! I would love to buy this! This set was sold, thanks. 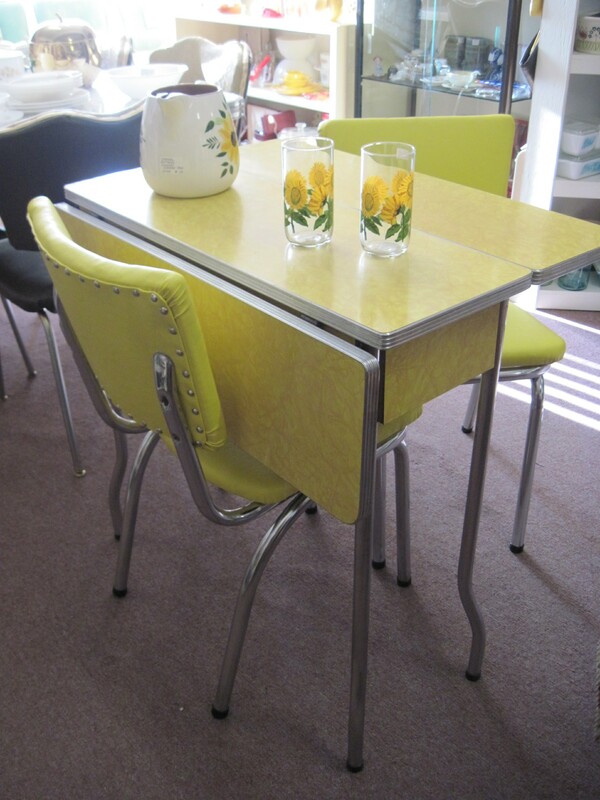 I believe we sold the set for $175. That was about 2 years ago now.